In this fast-paced life, following a low carb diet to the letter can be difficult, but low carb diet fast food menus make it a little easier. While not all fast food restaurants offer a dedicated low carb menu, most can be tweaked to suit a low carb lifestyle. Luckily, several fast food chains have jumped on the low carb bandwagon. As the number of low carb dieters continutes to rise, expect even more restaurants to join the trend. As you order your low carb goodies, keep an eye on condiments and beverages. Sauces, dressings, soda, juices, and "regular" ketchup sometimes have enough sugar to derail your otherwise perfect eating plan. Hardee's is one of the few chains still offering clearly designated low carbohydrate options. One favorite is the Low Carb Breakfast Bowl, which consists of egg, bacon, sausage, ham, and mixed cheese. For lunch or dinner, try the Low Carb Thickburger, a bunless beef patty topped with cheese, tomato, lettuce, red onions, pickles, ketchup, and mustard. Simply add oil and vinegar for an ideal low carbohydrate dressing. In many locations across the country, Burger King offers a low carb burger on its menu. This is, of course, a burger minus the bun and sugary condiments. Even in locations that do not feature a devoted low carb menu, Burger King prides itself on offering customizable food options. 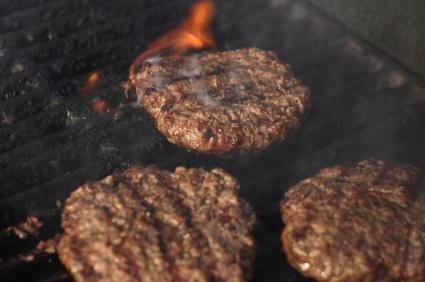 Order your burgers and grilled chicken without buns and ketchup, and you're well within your low carb limits. Order a garden salad with either shrimp, steak, or grilled chicken; skip the croutons and creamy dressing. Eating at home is always your best bet when it comes to controlling fat, carbs, and calories, but it is possible to maintain a low carb lifestyle while eating fast food. Simply choose non-breaded protein and vegetables, and forego the creamy dressings, bread, French fries, chips, and tortillas.